Click the button below to add the Bolection 108 to your wish list. 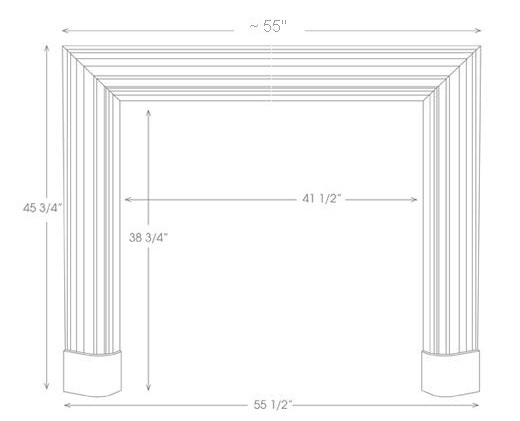 Overall Height = 45 3/4"
Molding Projection = 2 7/8"
Foot/Plinth Projection = 3 3/8"
Body Width = 55 1/2"
Opening Width = 44 1/2"
Opening Height = 38 3/4"
Bolection Molding Marble Mantel Surround, Circa 1650, from our Heritage Mantels Greco Roman Collection. Elements found in French, Belgian, German and English Baroque styles and many years later, greatly influenced American design. 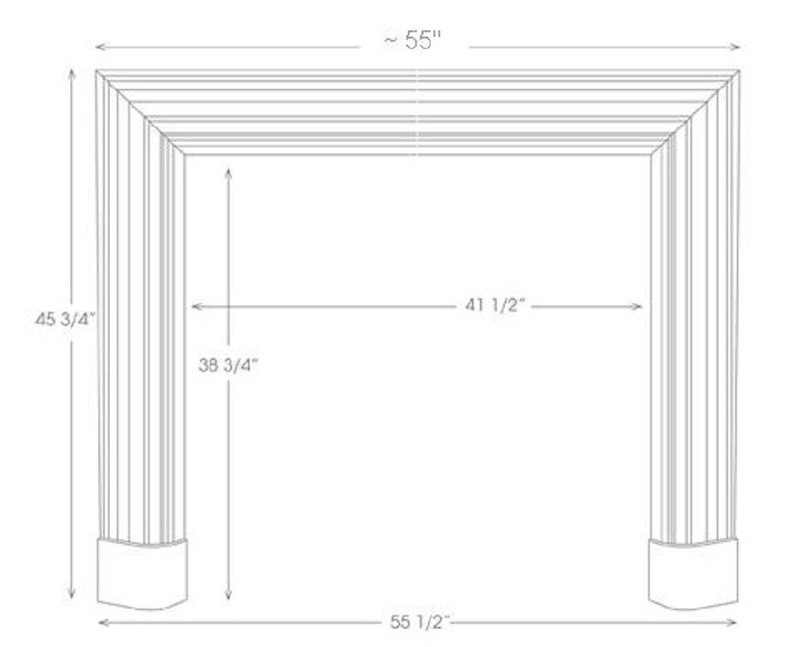 The convex molding design is classic. Available in all our marble colors; Regal Black with white veining shown is similar to Academy. View the Heritage Marble Mantel Gallery. *NOTE! The opening height of the #108 Bolection can be altered at our factory by asking us to change the height of the leg for only a modest price adjustment.